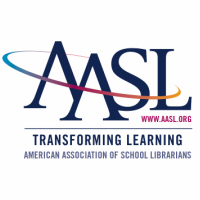 CHICAGO – The American Association of School Librarians (AASL) has named the members of its new task force responsible for developing a plan to support states, school systems and individual schools preparing to implement the association’s new learning standards and program guidelines. Chair Mary Keeling will be joined by members Judy Deichman, Sara Kelly Johns, Kate Lechtenberg, Ellen McNair, Jeanie Phillips and Joyce Valenza. Mary Keeling is an adjunct instructor in library science in the Darden School of Education at Old Dominion University and the supervisor of library media services for Newport News (Virginia) Public Schools. She currently serves as the chair of the AASL supervisors section, co-chair of the ACRL and AASL interdivisional committee on information literacy and as a member of the AASL professional development advisory group. Keeling has authored articles appearing in Knowledge Quest and Library Media Connection and has presented at numerous national- and state-level events. Judy Deichman is the school librarian at Nottoway Middle School in Crewe, Virginia. She currently serves as a member of the AASL standards and guidelines implementation committee (supporting the current iteration of learning standards and program guidelines) and as is the coordinator for AASL standards and guidelines implementation in Virginia. Deichman has written for the AASLBlog and Knowledge Quest and is the current treasurer of the Virginia Association of School Librarians. Sara Kelly Johns is a consultant for library program evaluation and an adjunct professor for the school library and information technology program at Mansfield University. She has served in national, state and local leadership positions, including AASL president, member of the ALA executive board and president of the New York Library Association. Johns has written for Knowledge Quest, Library Media Connection and School Librarian’s Workshop and is a frequent presenter of keynotes and workshops at professional conferences. Kate Lechtenberg is the school librarian at Northview Middle School in Ankeny (Iowa) Public Schools and an adjunct instructor for both the school of library and information science at the University of Iowa and the Heartland Area Education Agency. She has presented professional development for various national, state and local organizations including the Iowa Association of School Librarians and the National Council of Teachers of English. Her research interests include intellectual freedom and at-risk youth. Ellen McNair is currently the library program specialist in library information services for the Fairfax County (Virginia) Public Schools. She was previously employed as an adjunct instructor in multi-media production and design for the Catholic University of America. McNair has written for Library Media Connection and regularly presents on Web 2.0 tools. Jeanie Phillips is the school librarian at Green Mountain Union Middle High School in Chester, Vermont. In 2014 she was named a Fellow by the Roland Foundation, which provides professional development and resources to Vermont secondary school educators to positively affect student achievement in their schools. Phillips’ project focused on giving students the opportunity to pursue interests in meaningful ways with authentic audiences and resulted in a research course, a youth leadership team and an increased focus in project based learning. Joyce Valenza is the assistant professor of practice and the director of the master of library and information science program in the school of communication and information at Rutgers University. She is also a professor at the school library and information technologies graduate program at Mansfield University. She has served on both the AASL Best Websites and Best Apps for Teaching & Learning committees and as technology chair for the AASL national conference. Valenza has written and presented extensively on her research interests, which include metaliteracy and youth; social networking and online learning; and digital curation. The development of a new implementation plan to support the revision of AASL’s learning standards and program guidelines is a critically important project to both the association and the profession. The plan developed will reflect the association’s strategic goals and propose new ventures that take advantage of the current climate in education and society. Activities will address professional development (virtual and face-to-face), marketing communications, branding and advocacy initiatives.